Hangzhou Fitcoo Technology Co.Ltd, established in 2015, located in Hangzhou City, China, is an innovative technology company that specialize in the design, development, production and sales of electric scooters, electric folding bicycles, elderly mobility scooters and AGV robot chassis. We have an advanced R&D centers consist of quite a few senior engineers. Our team has multi-disciplinary product development experience, and bringing together multi-disciplinary professionals in the field of industrial design, product structure, IT, electrical and automation, electronic information engineering, mechanical and electrical integration. We are committed to providing global users with more convenient and environmentally friendly urban smart electric vehicles. 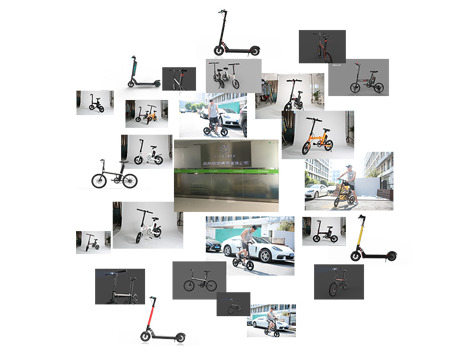 Our team has many years experience in researching and developing electric scooter, bringing together multi-disciplinary professionals in the field of computer, industrial design and electromechanical integration. We accept products' customization. Hangzhou Fitcoo Technology Co.Ltd, established in 2015, located in Hangzhou City, China, is an innovative technology company specialized in the design, development, production and sales of electric scooters, electric folding bicycles, elderly mobility scooters and AGV robot chassis. We have two popular brands - - Ivelo and Fitrider respectively are the brand of electric bicycle series and electric scooter series. We are the only manufacturer of iVelo and Fitrider, didn't have any kind of branch company and headquarters. We have R&D centers that holds quite a few senior engineers. Our team has many years experience, bringing together multi-disciplinary professionals in the field of industrial design, product structure, IT, electrical&automation, electronic information engineering.... We have established partnerships with well-known companies that share projects with eScooter and eBike. We accept products’ customization for sharing projects includes customization of vehicle structure,2G/ 3G / 4G communication modules, MQTT technology, GPS, battery lock or motor lock, firmware, software etc. We have two factories cover an area of 6000sq.m. which can gurantee a huge capacity and reduce the delivery time, welcome to our two factories to visit.